Wednesday 19th November 2014 At 19.30hrs Penpol Chapel. All welcome. All nominations for the election to the committee must be received by the Secretary before the 18th November 2014. For a copy of last year's AGM Minutes and 2013 accounts contact PQA Secretary H Speirs, 29 Chycoose Parc (01872) 862386. Point Village is a picturesque riverside village, situated three miles from Cornwall's capital city of Truro. This web site is maintained by Point Quay Association. Take a look around the village as it looks today or view some of its history through our photo archive. 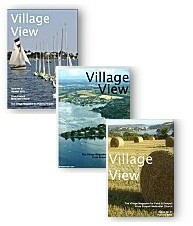 For those who'd like to take a stroll through recent village events, back copies of 'Village View', the magazine for Penpoll and Point are now available online.